My JINsoon collection is now beginning to reach epic proportions. Every time she comes out with a new seasonal launch or collaboration (remember this one from last year? ), I am compelled to try them all, and this new JINsoon x Tess Giberson collection is no exception. 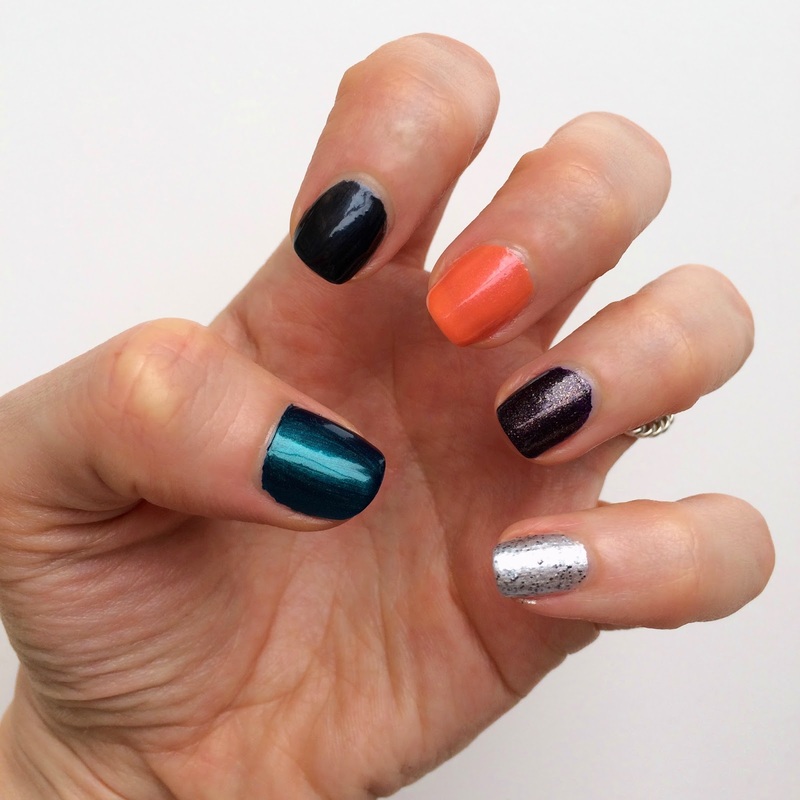 I am not going to lie and say that I am not wooed by the shiny and sparkly bottles of Chanel, Dior and Tom Ford, but frankly when it comes down to wearability, these polishes are truly some of the best around. They dry immediately and last the longest out of my entire collection of nail polishes (and I have A LOT of polishes - ooooops). I definitely had my favorites from this launch, with my initial stand out being Heirloom, the metallic teal. It's so different and quite a conversation piece when on the nails. Melange is a chunky glitter polish that you will need extra time to remove, but the color is a muted metallic which is a nice change from those liquid metal style shades that are often too reflective for day. Farrago is probably one of the most unique colors and blends a deep aubergine with very fine gold reflective particles. I feel like this will be in contention with Nocturne for the shades I will wear the most. I love Nocturne because it is not as severe as a standard black polish, and has some dimension with it's silver metallic shine and deep concrete gray base. Pastiche is the color that will probably take me into the warmer months and could be worn all year. Another winning collection from JINsoon, and as usual her polishes continue to wow me with their quality and long wear. If you are looking to add some additional JINsoon shades to your collection, I highly recommend Coral Peony and Blue Iris from her Botanical Flowers collection, Azurite and Epidote from her JINsoon x Tibi collection as well as her entire Color Field Collection. For more JINsoon swatches, click here to see all my previous posts (told you I was a fan). JINsoon polishes are available at Sephora, Nordstrom, SpaceNK and her website. What are your favorite JINsoon shades? Such stunning shades! I've haven't tried any polishes from this brand, but the formula certainly sounds amazing. Farrago is such a unique colour!